clark society members impact the lives of tcu students by building a strong foundation for the future of our university. Named after TCU's founders, the Addison & Randolph Clark Society recognizes the generosity of TCU's leadership-level donors. It is composed of a diverse group of TCU supporters whose gifts range from a minimum of $1,000 into the millions. The Junior Clark Society is an organization for young alumni donors who have graduated within the past 10 years and for current student donors. Donors become members of the Clark Society by making annual or lifetime leadership gifts, which may be designated to any area of the University, including TCU Athletics. Gifts are counted during TCU's fiscal year, June 1 – May 31. To recognize and inspire the generosity of the TCU Community. To promote a culture and tradition of giving through donor recognition, stewardship and connection in order to advance TCU. 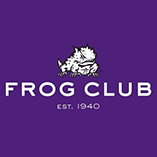 Visit makeagift.tcu.edu to join the Clark Society today! Join fellow alumni, parents and friends of the University who are giving back to TCU as Clark Society members. Together, your support enables TCU to offer the best private education possible through endowed scholarships and faculty positions, innovative degree programs, state-of-the-art facilities and more. Your Clark Society leadership-level gift can be made to any designation on a one-time or recurring basis. Recurring payments can be set so that your gift is withdrawn from your bank account automatically and/or charged in monthly increments. While visiting makeagift.tcu.edu select "Recurring Gift." After selecting "Continue," you will be able to enter the amount you would like to charge to your credit card or automatically withdraw from your checking account each month.